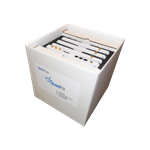 The SensRF®-101 is a next generation, 9dBic antenna designed for simplicity of use in mass volume installations that doesn’t compromise on performance or quality. 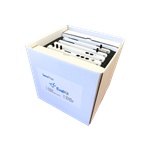 The design of this antenna enables industry leading pricing but without sacrificing the stringent product needs imposed by Fortune 500 company usage. 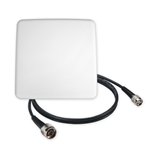 This 10” x 10” form-factor antenna is approximately 0.8” thin and includes a robust SMA connector. Despite its aggressive form-factor and price positioning, SensRF-101 provides excellent RF characteristics equivalent to the leading antennas on the market (see overleaf specs). 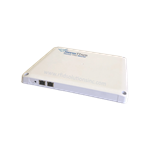 The antenna is also broadband covering 865MHz - 928MHz in a single model. 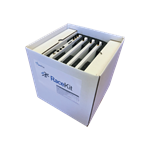 The SensRF-101 is low-profile and aesthetically pleasing to blend into offices or commercial environments, yet tough enough to be used in warehouses and production lines (IP68). It can be provided with custom logos or graphics to suite the installation environment. 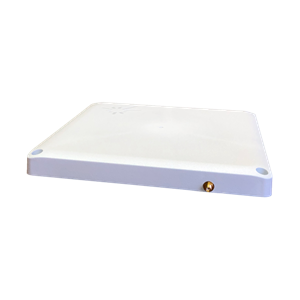 Finally, the SensRF-101 can be used with any RFID reader and can be supplied either with a through-hole flush mount or a VESA 100mm stud mount. 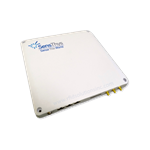 The SensRF-101 can be used with any RFID reader and can be supplied either with through-hole flush mount or VESA 100mm stud mount.